LOCATION LOCATION LOCATION...Approximately 2,000 sq. 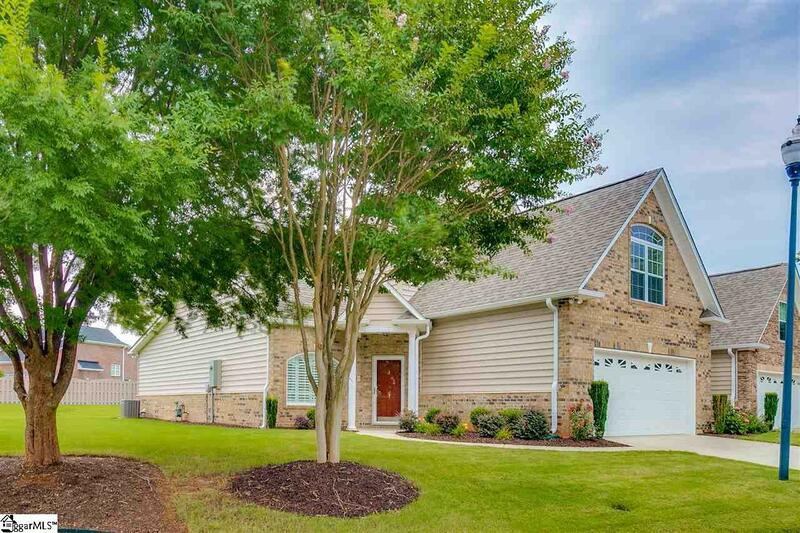 ft. luxurious 3 Bedroom, 2 full baths, move-in ready, corner/end Townhome in the gated community of Riverwood Farm offering low maintenance living. TAXES ARE LISTED AS NON OWNER OCCUPANCY/RENTAL. AS OWNER OCCUPANCY AT 4%, TAXES ARE ESTIMATED TO BE $2,434.32. 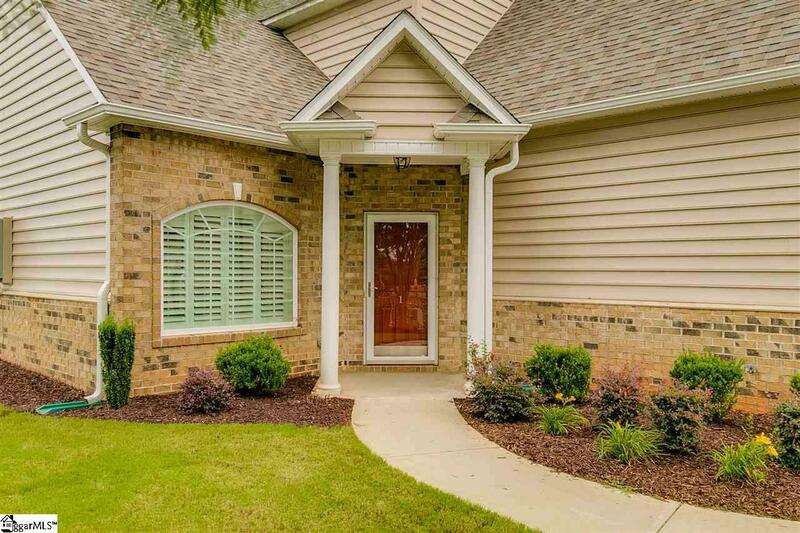 This Georgetown III floorplan just built in 2015 includes many upgrades including GE stainless steel appliances, plantation shutters, granite countertops, intercom system and many more. Walk into the colonnade entrance with gleaming hardwood floors, huge cathedral ceilings in the great room with fireplace, powder room and walk-in laundry room, separate dining room, gorgeous kitchen with tall custom handmade cherry cabinets overlooking the breakfast area with lots of windows looking out to a peaceful, private level backyard and covered and open patio. Master suite on first floor with trey ceiling and large walk-in closet. Master bath has dual sink vanity, jacuzzi tub with separate shower. Upstairs offers 2nd and 3rd bedrooms, media/Flex room, full bath and walk-in finished storage. New roof installed November 2017. 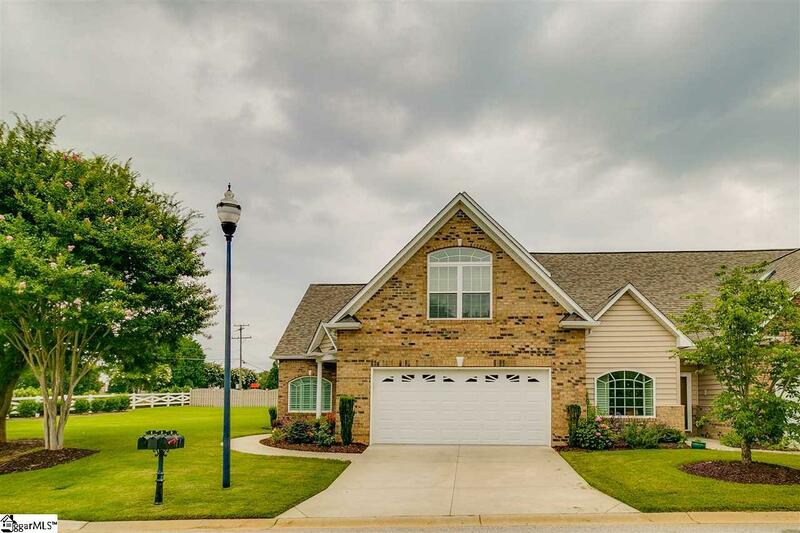 Riverwood Farm is an established gated community featuring a clubhouse, pool, tennis courts, volley ball, community pond, playground and walking trails. 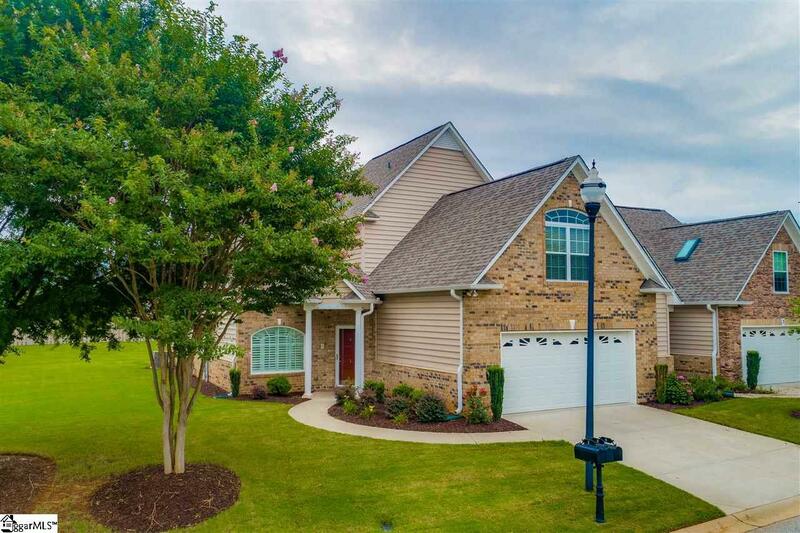 Great school district in sought after area conveniently located close to Pelham Rd, I85 and GSP International Airport. The HOA covers the lawn maintenance, trash and pest control. HOA is $740 annually for amenities and $145 per month for Townhouse maintenance. This comes out to about $206 per month. CUMULATIVE DAYS ON MARKET WAS FROM THE TIME FRAME FROM WHEN IT WAS FOR RENT. Listing provided courtesy of Debbie Levato of Bhhs C Dan Joyner - N. Pleas.